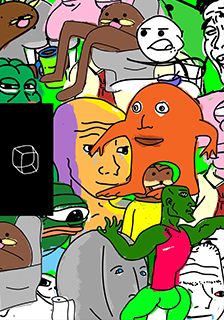 A reflection on the growing role of memes in digital society, critically examining their wide reaching impact on contemporary aesthetics, politics and academia. 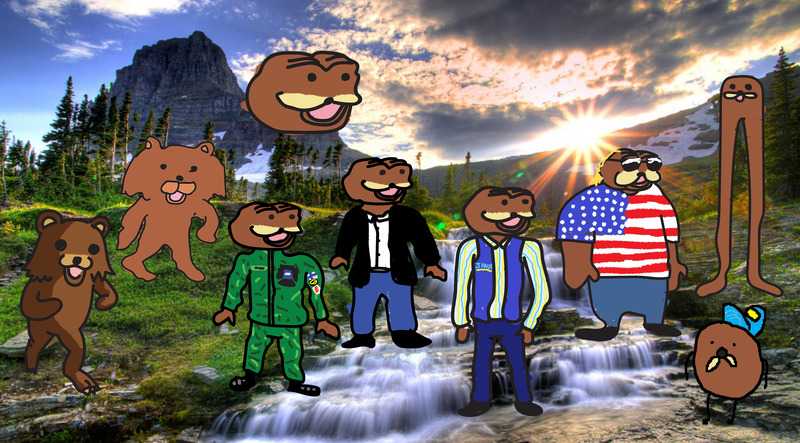 #MEMEPROPAGANDA was also an experiment in collective memetic production, challenging the public to participate in an online competition of meme character design. Six selected artists created a set of iconic posters, having as protagonists the fabulous creatures known as meme characters. The posters were spread in selected locations IRL/URL and contained a call to action, inviting the wider public to visit the exhibition and take part in its interactive, participatory format. Forum threads and chat discussions culminated in a night-long collective meme-themed drawing session at superinternet.space. The resulting interactions and artistic experiments were documented and formed integral part of the exhibition.